The term dementia is used in two different ways. First there are the dementias. 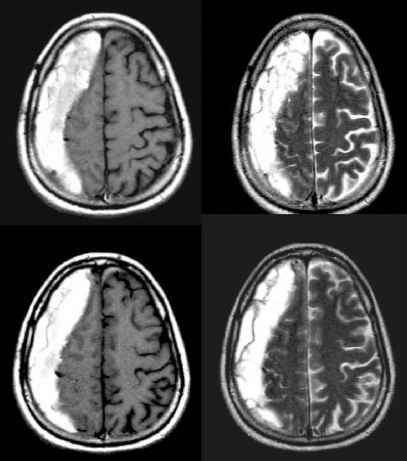 These are diseases that cause progressive and diffuse cerebral damage, of which Alzheimer's disease is the most common. Second, dementia can be used to refer to a clinical syndrome. Thus dementia is 'an acquired global impairment of intellect, memory, and personality, but without impairment of consciousness'.(1.) For clinicians this is the preferred usage, and the one adopted in this chapter. It demands that the cause of the dementia is explored, and makes no comment on the likely prognosis. 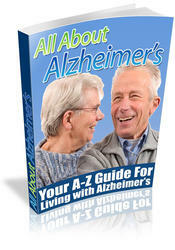 This chapter will describe the management of people who suffer dementia, whatever the cause. Aspects of management specific to the individual diseases that produce dementia will not be discussed. The discussion will not be limited to older patients, and will, for example, include dementia due to head injury or metabolic disorders. Patients who suffer the dementia before 18 years of age will, by and large, not be included; their needs are often best met by services provided for people with mental retardation. The history is crucial, and an informant will be needed who should be given the opportunity of being interviewed alone in case there are matters they are reluctant to divulge in front of the patient. The diagnosis hinges on the identification of a change in performance, particularly on cognitive tasks including memory, but also in terms of personality. Functional impairment of occupation or social life, and carer complaints about the patient's memory, are better predictors of dementia than are subjective complaints of poor memory/2) Subjective memory complaints are more associated with depression. A patient with a moderately severe dementia may nevertheless be bright-eyed, alert, and have preserved the social banter and etiquette necessary to meet someone and be interviewed. At first sight they can appear normal. The patient should therefore be asked questions that demand informative replies and whose veracity can be determined. Doing this while taking the history allows even quite mild memory problems to be detected, because to give a good account of recent events is quite demanding of memory. It is also a good way to examine patients, often those with depressive pseudodementia who perform poorly when directly confronted with tests of memory and cognition, yet do not do too badly when unaware they are being tested. The results of a screening test need to be interpreted in the light of the history, physical findings, and the prevalence of dementia in the population being tested. For example, in younger patients screening tests will identify proportionately more false positives, who in fact do not suffer from dementia. The younger patient will demand a more thorough physical examination and investigations, and referral to a neurologist is often appropriate. A rating of depression may help in the diagnosis of depressive pseudodementia. It is also important to rate depression because it often coexists with dementia and may make the disability worse. The Cornell scale (7) or the Geriatric Depression Rating Scale(8) can be used. Risk assessment is an important part of the management of patients with dementia and Table ? suggests various areas of risk that need to be considered. A good history from carers and others involved in the patient's care is essential for a full risk assessment, which is rarely complete without an assessment by an occupational therapist. It is important to use the outcome of risk assessment to facilitate independence. This is done by introducing appropriate strategies to minimize risk. In addition, a risk-benefit analysis may demonstrate that it is appropriate to run a risk of some adverse event happening if there are clear benefits of doing so. For example, a patient may be at risk of wandering and getting lost from his or her home; however, if the strategy to prevent this involves moving the patient to new accommodation away from family and familiar surroundings, then this may itself be regarded as a sufficiently adverse event to make transfer inappropriate.